Soft Sweatshirt Jersey and superb new French Terry Knit both have a good amount of stretch in the fabric that provides flexibility for comfortable clothing. The inside of these knit fabrics is either looped or brushed which makes it super comfy next to your skin. 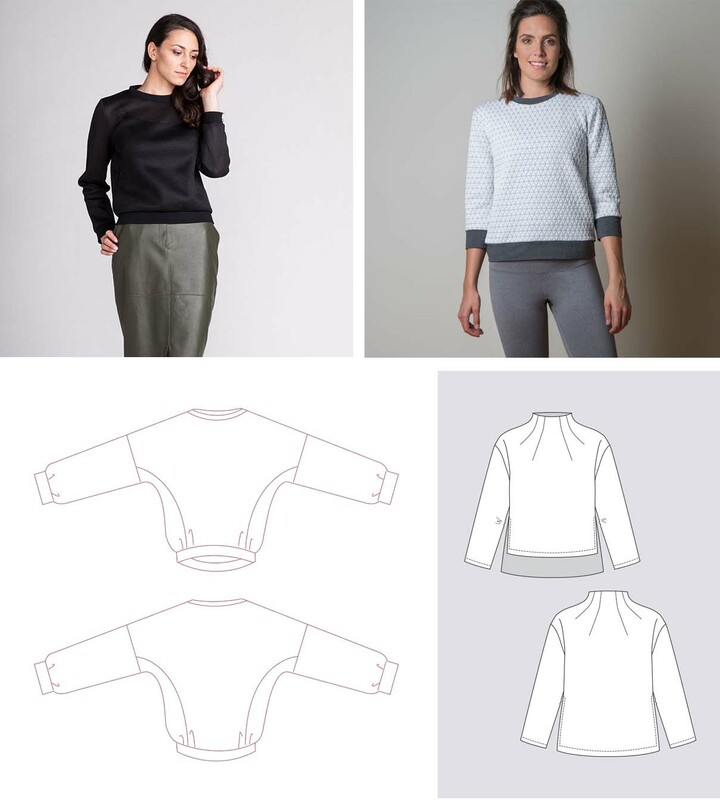 Sweatshirt Jersey and French Terry Stretch Fabric is perfect for Autumn and Winter sewing and we have lined up some sewing pattern suggestion below. 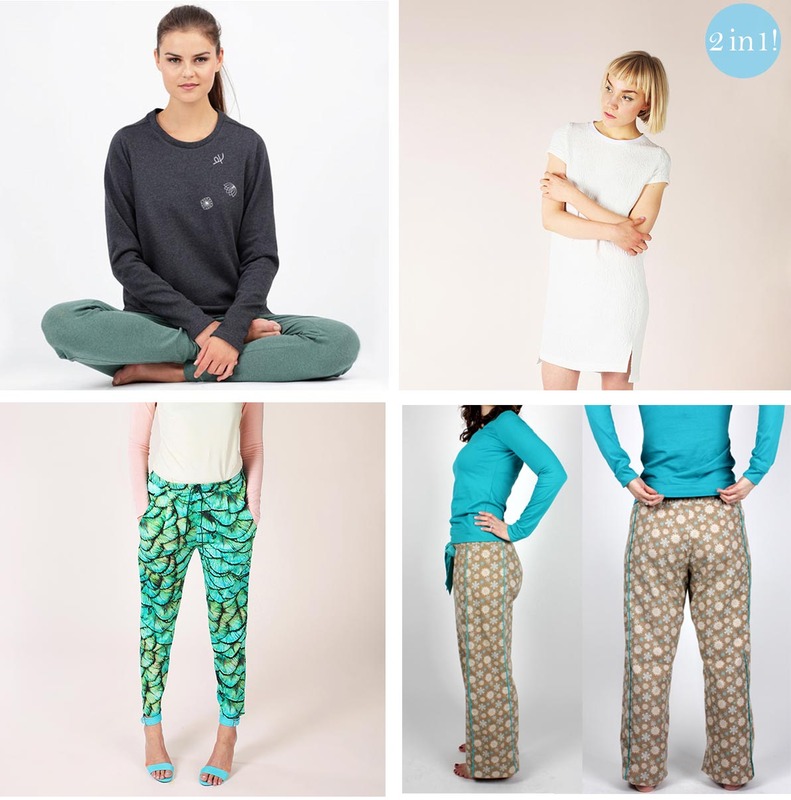 We have also included some tips and advice for sewing with these lovely fabrics. 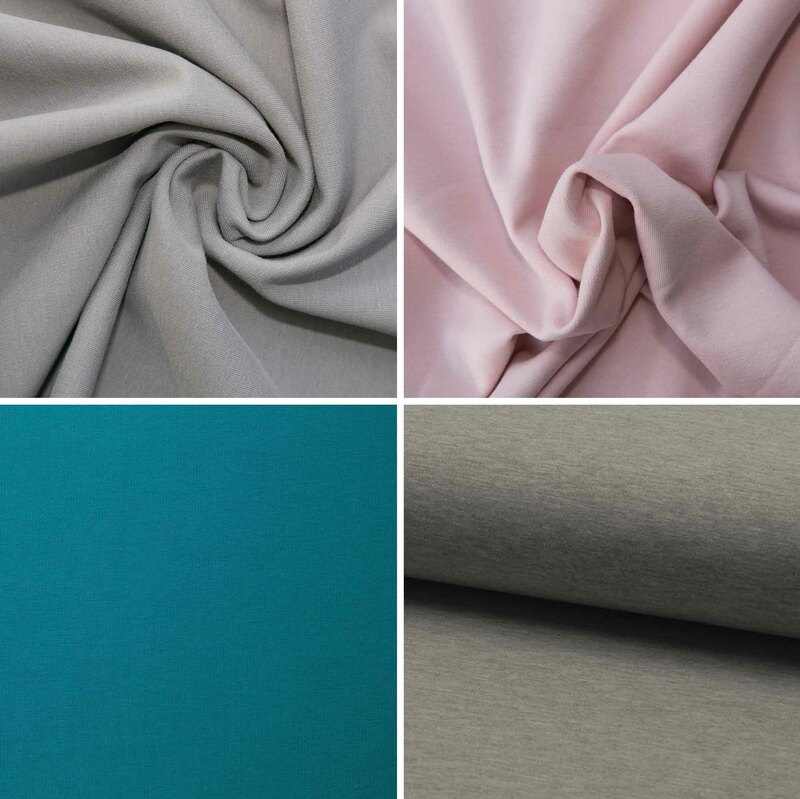 Our French Terry fabrics are 95% Cotton, 5% Spandex Knit, the light sweatshirt knit features a brushed reverse side of this knit fabric that is super comfy next to your skin. This French Terry Stretch Fabric is perfect for layering pieces as it’s heavier than a t-shirt, but lighter than a sweatshirt making it the perfect all year long. We have eleven different colours in the French Terry Jersey! The Winter Sweatshirt with 80% cotton and 20% polyester content is thicker and less stretchy, ideal for warm garments such as dresses, jumpers, skirts, loungewear and tunics. We have seven different sweatshirts in our range. Before cutting out you need to wash the fabric to allow for a little shrinkage.Wash the jersey separately for the first few washes. Increase the length of your stitch and consider reducing the foot pressure. Change your needle to a ballpoint/ jersey needle to prevent puncturing the fabric. Choose a slight zigzag stitch for stitching your seams on your sewing machine if the fabric has more stretch, such as the french terry. 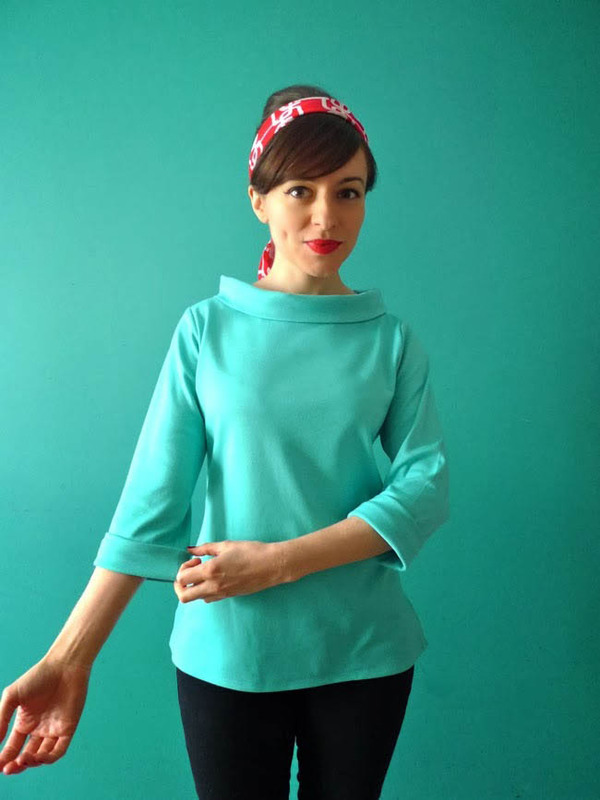 There is no need to overlock or finish the seam allowances as these fabrics don’t fray!